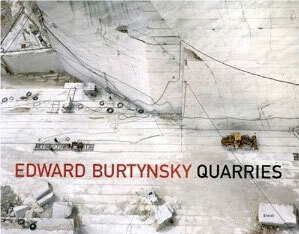 Burtynsky was born in St. Catharines, Ontario. His parents had immigrated to Canada in 1951 from Ukraine and his father found work on the production line at the local General Motors plant. 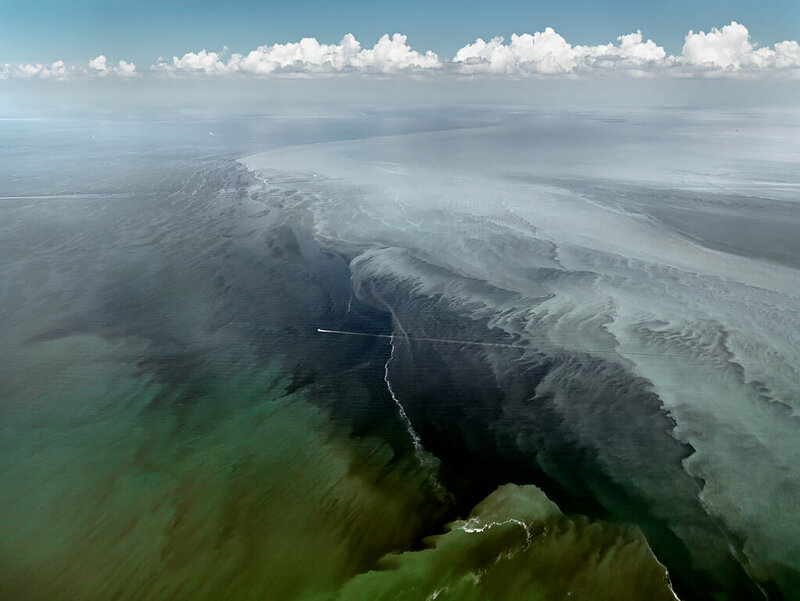 Burtynsky recalls playing by the Welland Canal and watching ships pass through the locks. When he was 11, his father purchased a darkroom, including cameras and instruction manuals, from a widow whose late husband practiced amateur photography. With his father, Burtynsky learned how to make black and white prints and together with his older sister established a small business taking portraits at the local Ukrainian center. In the early 1970s, Burtynsky found work in printing and he started night classes in photography, later enrolling at the Ryerson Polytechnical Institute. Most of Burtynsky's exhibited photography (pre 2007) was taken with a large format, field camera, on large 4×5-inch sheet film and developed into high-resolution, large-dimension prints of various sizes and editions ranging from 18 × 22 inches to 60 × 80 inches. He often positions himself at high-vantage points over the landscape using elevated platforms, the natural topography, and more currently helicopters and fixed-wing aircraft. 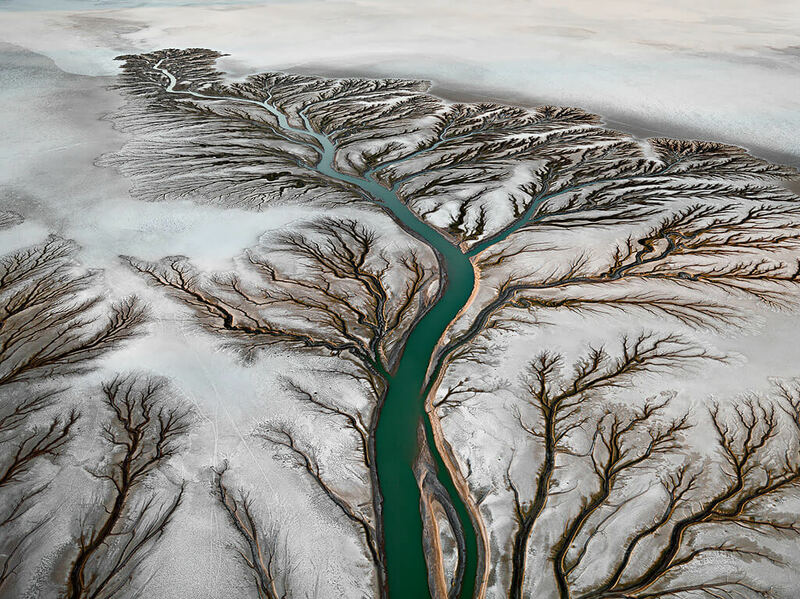 Burtynsky describes the act of taking a photograph in terms of "The Contemplated Moment", evoking and in contrast to, "The Decisive Moment" of Henri Cartier-Bresson. He currently uses a high-resolution digital medium format camera. 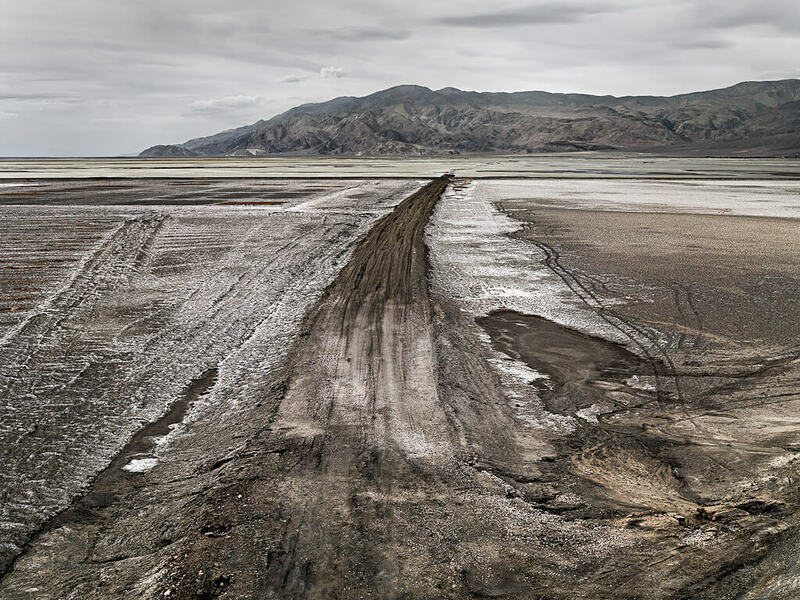 Edward Burtynsky is known as one of Canada's most respected photographers. His remarkable photographic depictions of global industrial landscapes are included in the collections of over sixty major museums around the world, including the National Gallery of Canada, the Museum of Modern Art and the Guggenheim Museum in New York, the Reina Sofia Museum in Madrid, the Tate Modern in London, and the Los Angeles County Museum of Art in California. 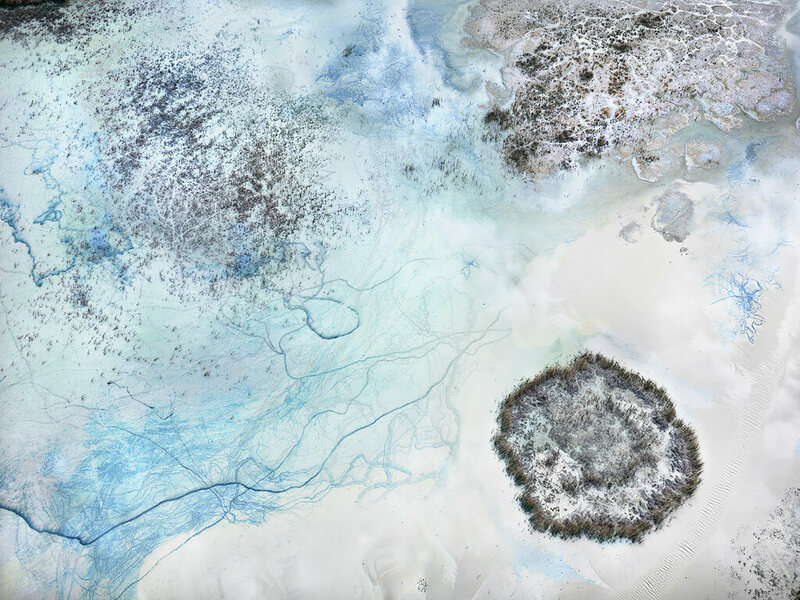 Exhibitions include Water (2013) at the New Orleans Museum of Art & Contemporary Art Center, New Orleans, Louisiana (international touring exhibition); Oil (2009) at the Corcoran Gallery of Art in Washington D.C. (five-year international touring show), China (toured 2005 - 2008); Manufactured Landscapes at the National Gallery of Canada (touring from 2003 - 2005); and Breaking Ground produced by the Canadian Museum of Contemporary Photography (touring from 1988 - 1992). 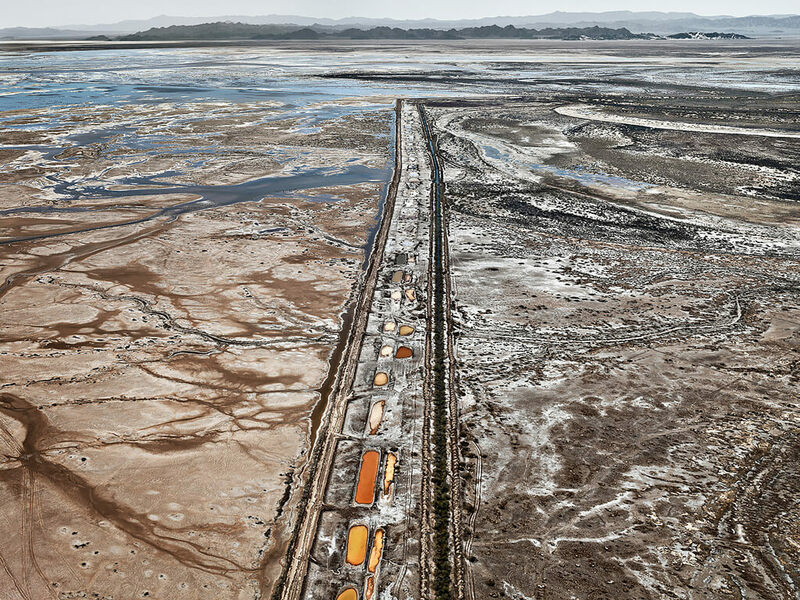 Burtynsky's visually compelling works are currently being exhibited in solo and group exhibitions across Canada, the United States, Europe and Asia. 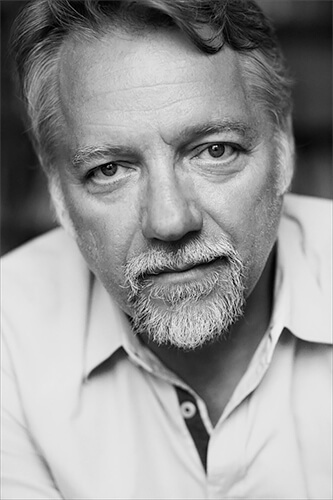 Burtynsky's distinctions include the TED Prize, the Governor General's Awards in Visual and Media Arts, The Outreach award at the Rencontres d'Arles, the Roloff Beny Book award, and the Rogers Best Canadian Film Award. 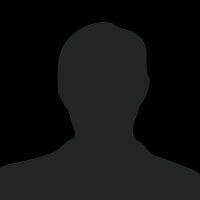 He sits on the board of directors for CONTACT: Toronto's International Photography Festival, and The Ryerson Image Centre. In 2006 he was awarded the title of Officer of the Order of Canada and currently holds seven honorary doctorate degrees. 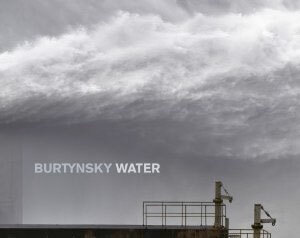 Burtynsky is represented by: Nicholas Metivier Gallery, Toronto; Paul Kuhn Gallery, Calgary; Art 45, Montreal; Howard Greenberg Gallery, and Bryce Wolkowitz Gallery, New York; Sundaram Tagore Gallery, Hong Kong & Singapore; Flowers, London; Galerie Springer, Berlin; Von Lintel Gallery, Los Angeles; and Weinstein Gallery, Minneapolis, Minnesota. There is no life without water. 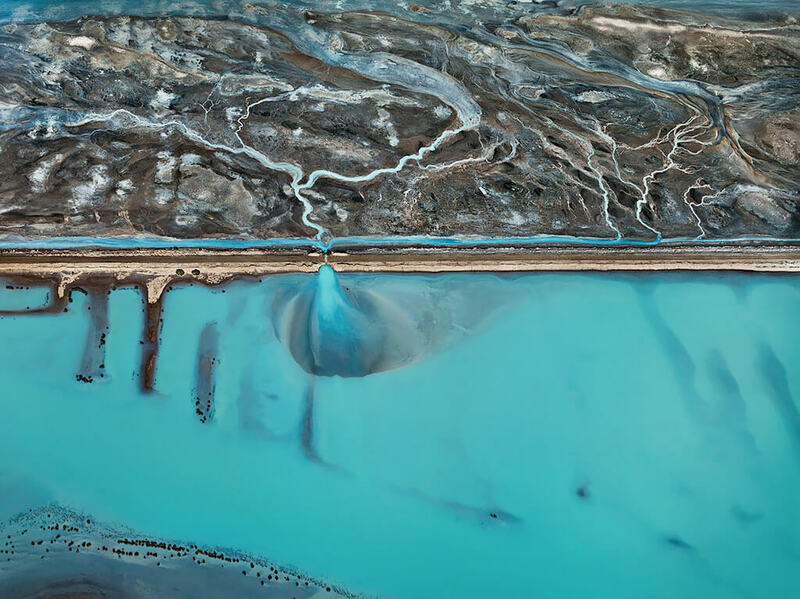 Burtynsky's new and highly anticipated book Water tells us the story of where water comes from, how we use it, distribute and waste it. 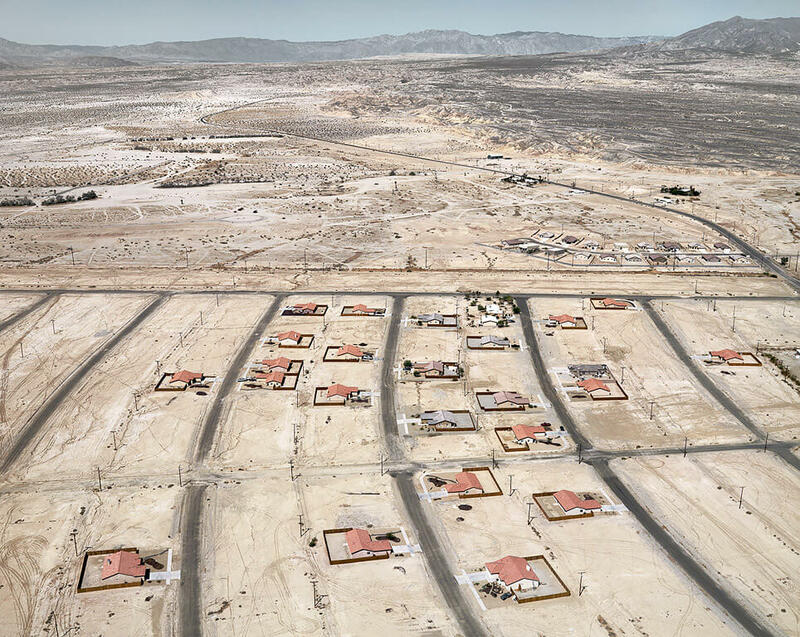 Often using a bird's-eye perspective, the photographer shows us its remote sources, remarkable ancient step-wells and mass bathing rituals, the transformation of desert into cities with waterfronts on each doorstep, the compromised landscapes of the American Southwest. 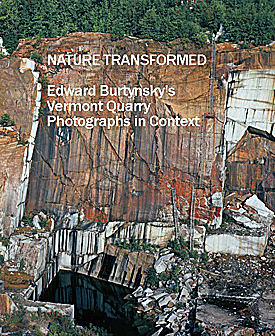 The quality level for the color reproductions is really good and if you like the work of Edward Burtynsky you shouldn't be disappointed. 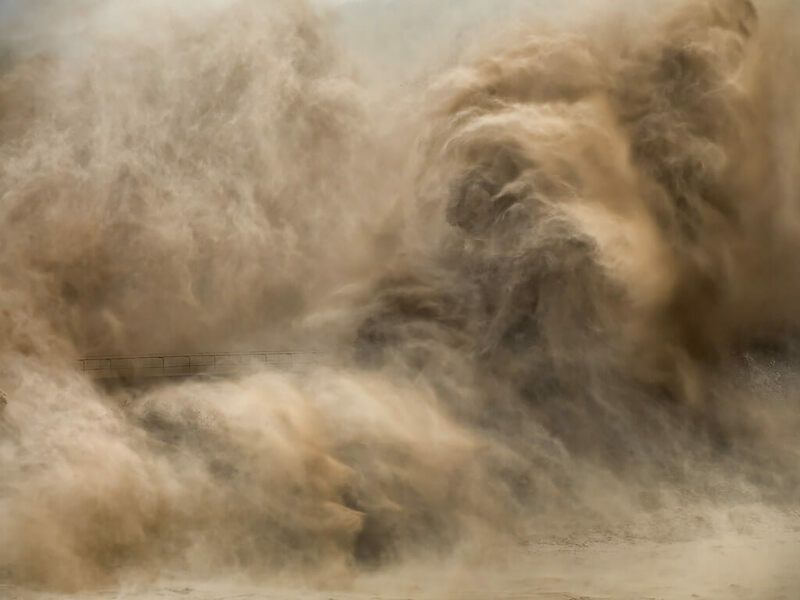 Over a twenty-five year career exploring the landscape as transformed by industry, the celebrated Canadian photographer Edward Burtynsky has accumulated a body of work on large scale quarries around the world. Including Canada, Italy, China, Spain, Portugal, India and America these thought provoking studies of sites that are created as we dig into the earth for material in order to build our cities, urge us to consider how we as viewers are simultaneously attracted yet repulsed by these landscapes - somewhere a building is created while a landscape is destroyed. 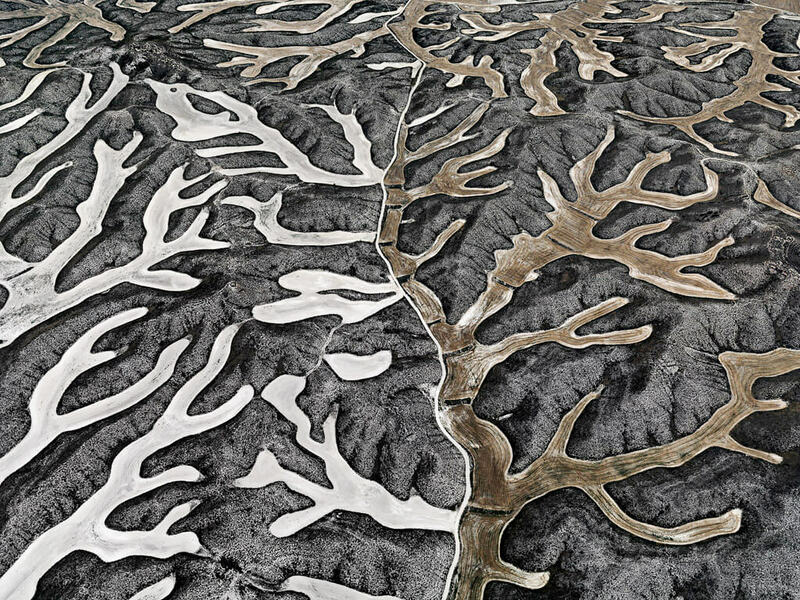 Over a period of 25 years, the internationally renowned Canadian photographer Edward Burtynsky has been an explorer of unfamiliar places where human activity has reshaped the surface of the land. 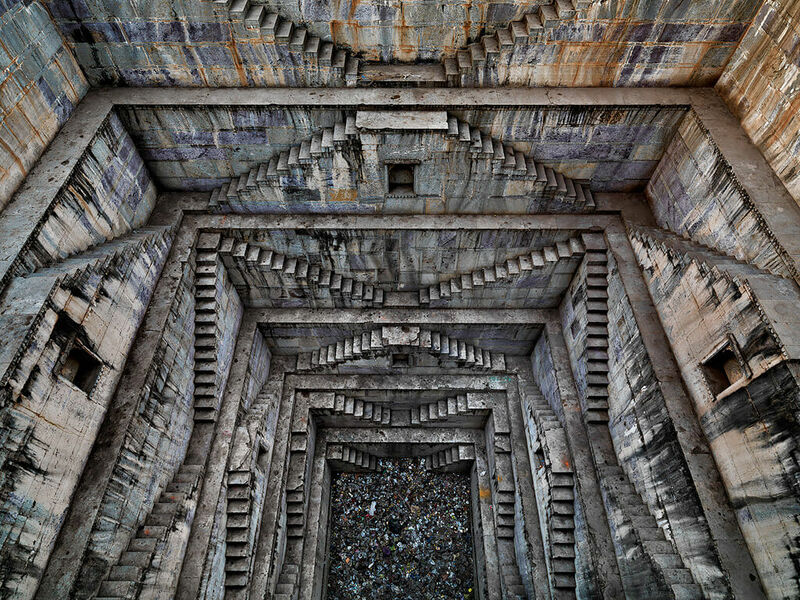 His astonishing large-scale colour photographs of the landscapes of mining, quarrying, railcutting, recycling, oil refining and shipbreaking uncover a stark, almost sublime beauty in the residue of industrial "progress". The implicit social and environmental upheavals that underlie these images make them powerful emblems of our times. 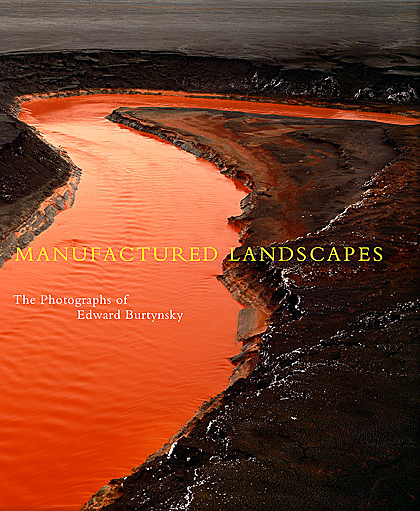 This catalogue of a major retrospective of Burtynsky's work features essays by Lori Pauli, Kenneth Baker and Mark Haworth-Booth, as well as a wide-ranging interview with the artist by Michael Torosian. The book includes 64 colour plates.